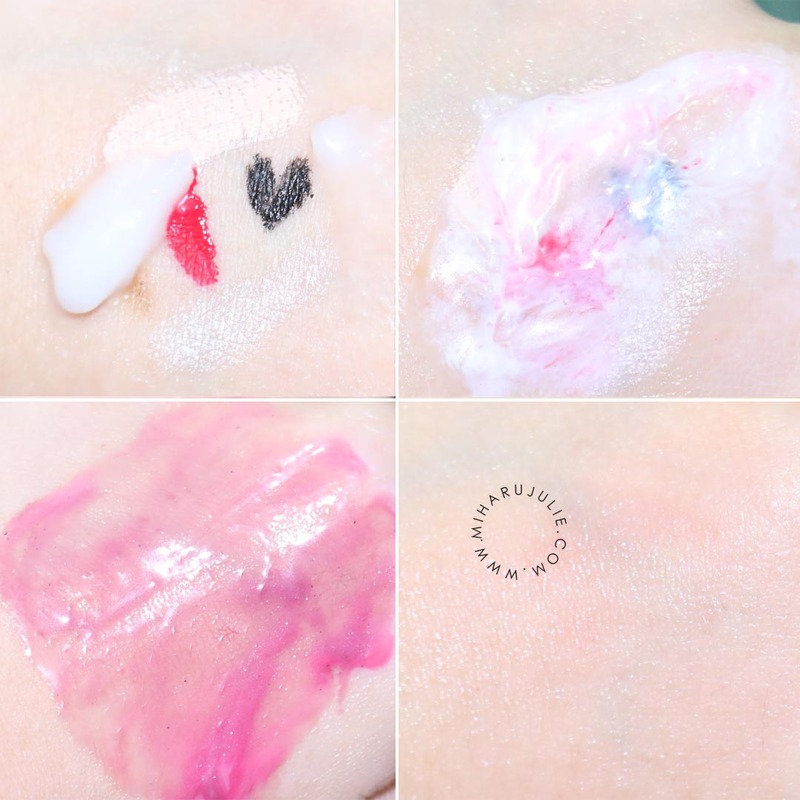 If you are into K-beauty and K-skincare, you would absolutely have heard about HEIMISH. Personally, I have been curious to try this balm ever since it was first launched few months ago, and when I was about to purchase it, Charis asked me if I was interested in they newly launched brand Heimish, which of course I was, it's heimish after all so they sent me some Heimish products to try. Natural and No Paraben ! ,Heimish All clean balm 120ml, Good for cleansing thick make-up, Hypoallergenic ingredients included for sensitive skin type. 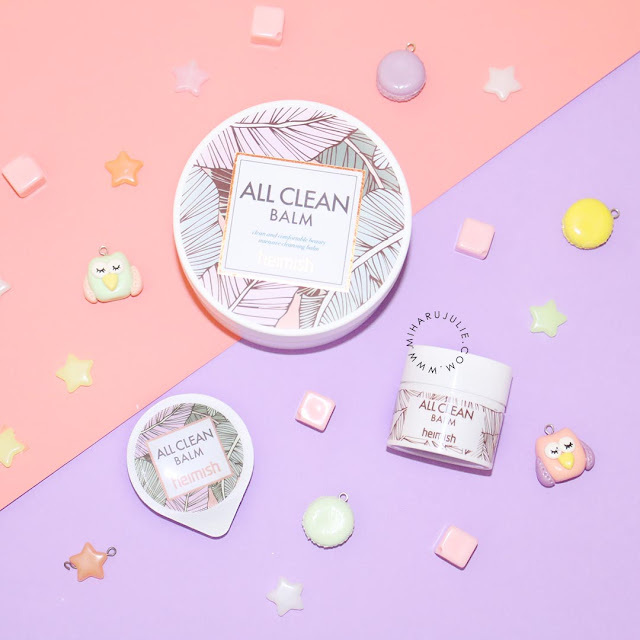 Balm Type Cleanser but when it touches water, the texture is changed to oil cleanser such as Sherbet type. • Shea Butter - It is rich in antioxidants and is known for its moisturizing, anti-inflammatory and skin smoothing properties. Naturally rich in vitamins, it provides the skin with essential fatty acids and the nutrients necessary for collagen production. • Donkey Milk - Moisturizing and skin brightening properties. • Coconut Extract - Helps soften and balance skin. • Variety of Botanical Extracts and Oils - with skin soothing, calming and balancing properties. 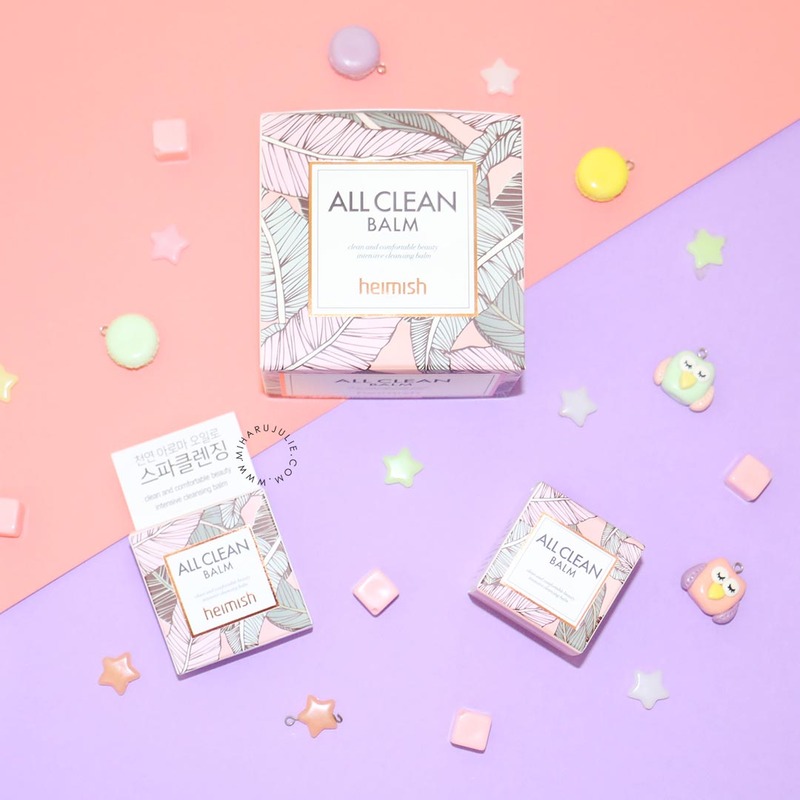 The Heimish All Clean Balm comes in a super chic tub with a pink tropical leaf print all along the cap and the box! The tub is made of a super study hard plastic. The white balm's silky like texture gently removes make up and dirt without stripping your face of its natural moisture. 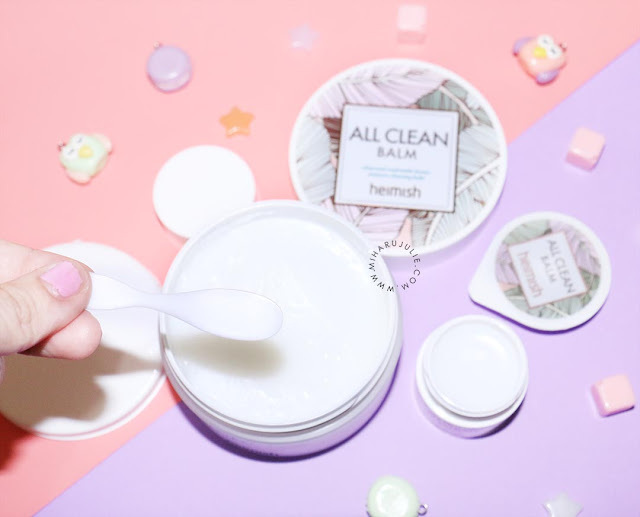 The consistency of Heimish All Clean Balm is a harder balm with a little bit of oily liquid separated on the top. When applied onto the skin, it melts easily into a smooth and silky oil that's not runny or drippy! 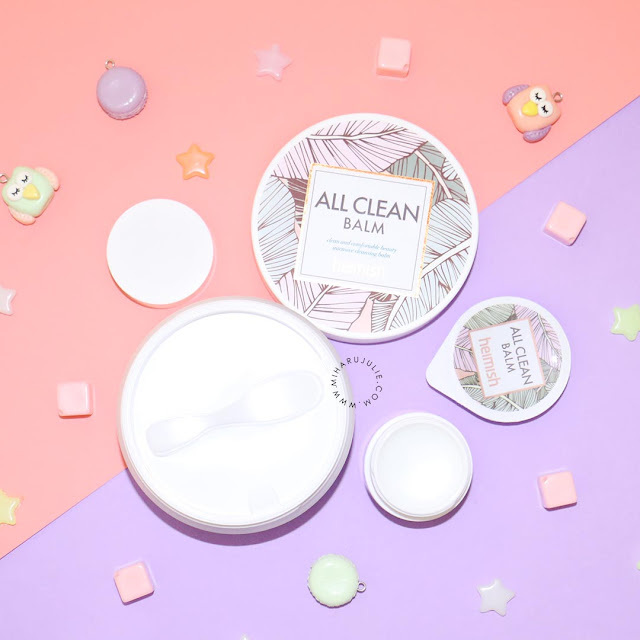 If you're unfamiliar with cleansing balms then believe me, you're missing out! Especially if you wear make up or sunscreen - double cleansing is a must. A cleansing balm is a great way to cleanse efficiently yet gently as your "1st cleanse". The oil feels very lightweight and gentle when working into the skin, making it ideal for all skin types, even those with sensitive skin! The only thing I'm not fond of from this cleanser, is the scent -- it has a herbal scent that I'm not a fan off. Once massaged into the face the balm becomes a light oil that actively helps to melt away any make up. Aside from being a good make up remover it also helps restore the natural moisture into the skin leaving the skin feeling soft and clean after use. I recommend using 1-3 small scoops of the balm when applying to the face. NEW OUTFIT POST | Oversized and Destroyed Knit. Beautiful review, thx for sharing with us. 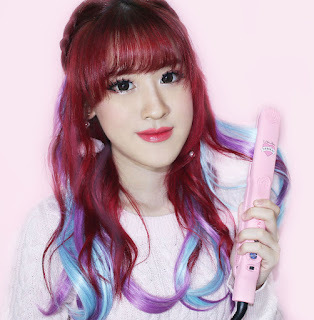 Duh...heimish lagiiii...pengenn...emg kalo produk yang bagus tu gak berparaben ya...siipp Miharu Julie..